Our QA / RA specialists can evaluate your needs and tell you how Qualio's software can help you streamline quality and compliance. Qualio's all-in-one QMS software gives you the tools you need to effortlessly manage your QA/RA processes. 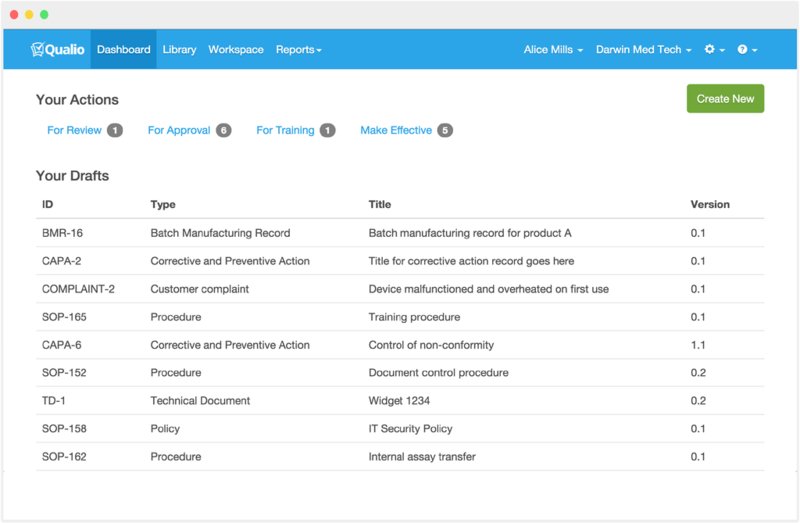 Qualio is simple & intuitive, so managing quality training isn't intimidating. Qualio also offers live demonstrations of our platform. Let us show you what Qualio can do for your business!